For all farms with cropping tracker available, there will be a product warehouse sitting inside your production tab. 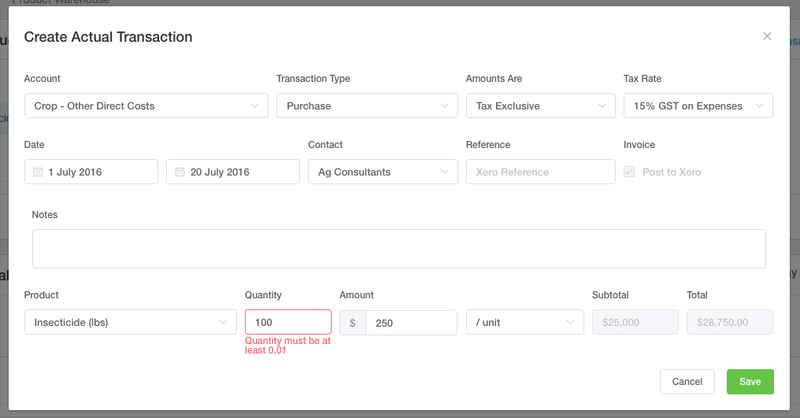 Within the product warehouse you will be able to purchase actual products, such as fertiliser and post the corresponding invoice to Xero. You'll also be able to use these products and allocate them to a crop type or tracker, which flows through to your cost of production report. 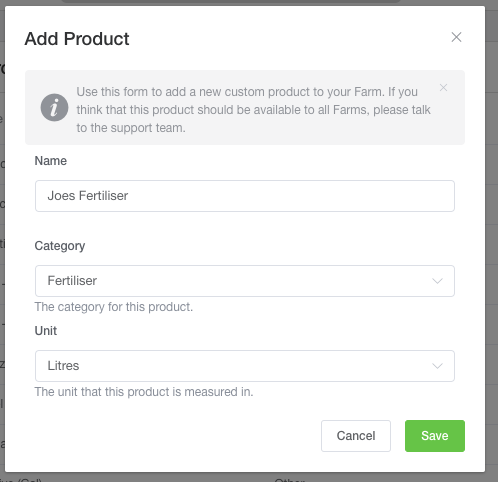 Heading to Settings > Products will allow you to create a list of products that you'll be buying or using on the farm. A default list is provided by Figured, and this can be added to at any stage by users on the farm. By selecting Add product you'll be able to update this list to include any products not captured by default. You'll need a name, category, and a unit. 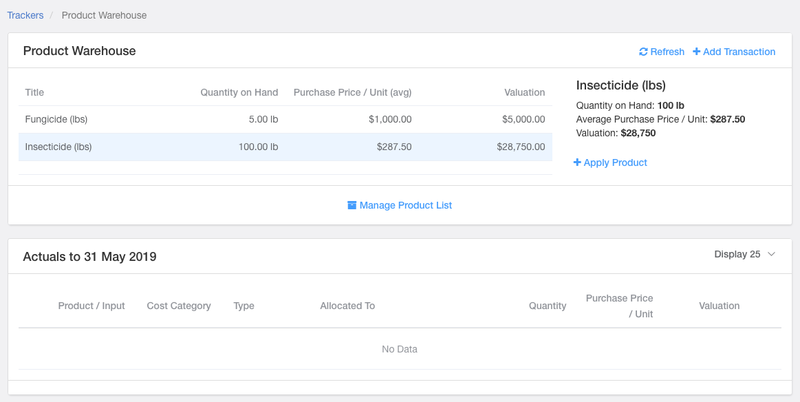 Within your product warehouse, you'll see a view of current products on hand, actual transactions for this budget year, and the ability to refresh the data or add in new transactions. The information in your product warehouse flows from year to year, so fertiliser purchased in 2017 will appear in 2018 if the product hasn't been applied (used) or written off. To begin, you will want to purchase a product. You can do this by selecting Add transaction and filling in the required transaction information. NOTE: Your product warehouse is actuals only, and all information must be posted to Xero (where applicable). Purchased products can be used in one of two ways - applied (used), or written off. These can both be done by pressing Add transaction. For an application you will need to allocate this application to a crop type (or tracker). 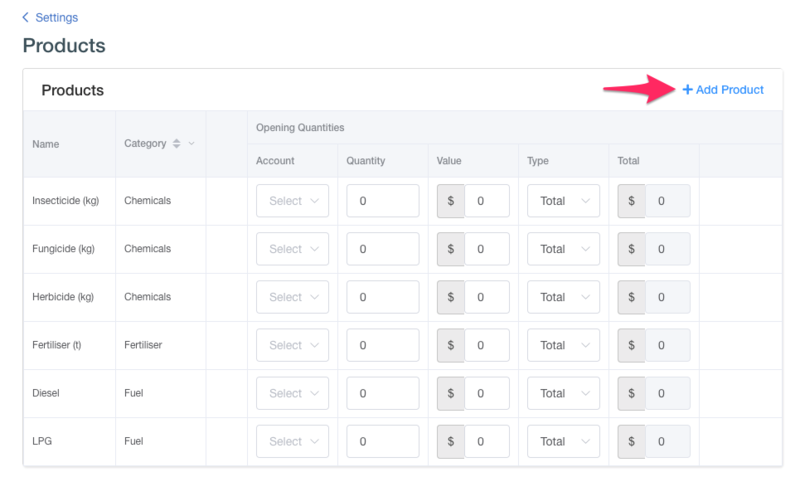 Figured will auto-populate the available quantity for you as well as the available products depending what's in your product warehouse. 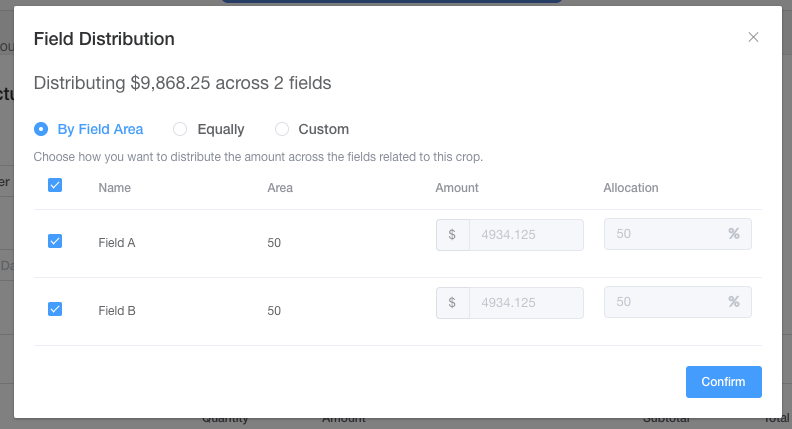 If you've configured fields in your crop season detail, then you can choose to do further field distribution during your allocation stage. This can be done by field area, equally (i.e. 50 / 50), or by custom values. For writing product off you need less information, and Figured will still auto-populate quantities and products. 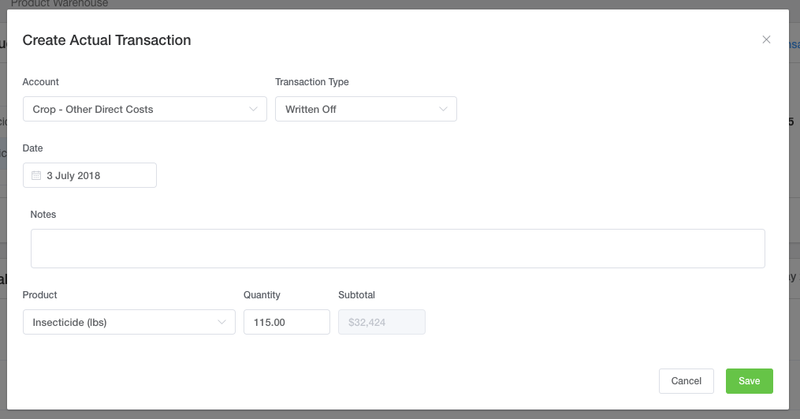 Transactions in your product warehouse can be edited or deleted at any time by selecting a transaction from your actuals list. 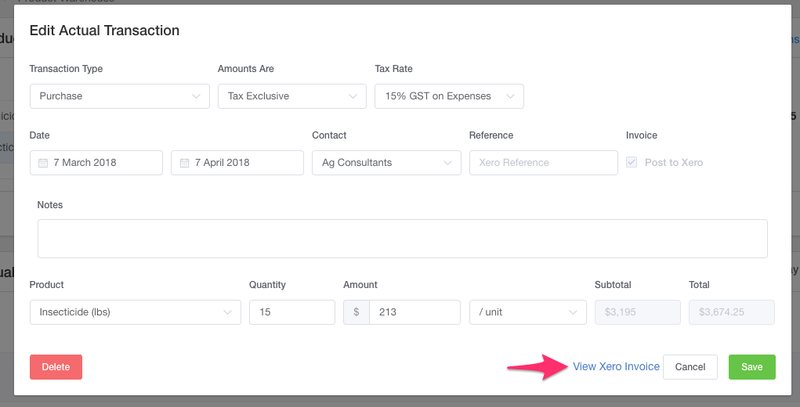 Each posted transaction will also show a link to the corresponding Xero invoice.